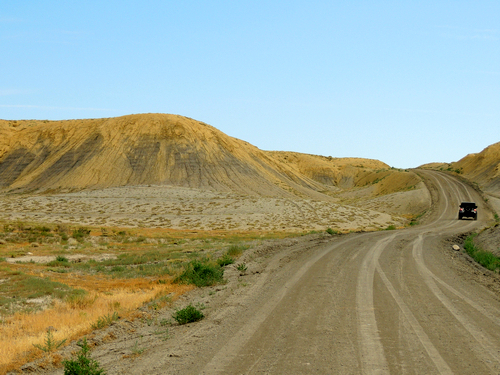 Wave-Eagle Loop is a short trail that begins in an ATV off-road area, climbs up and follows a ridge with distant views of Gunnison Gorge, then returns to the ATV area. 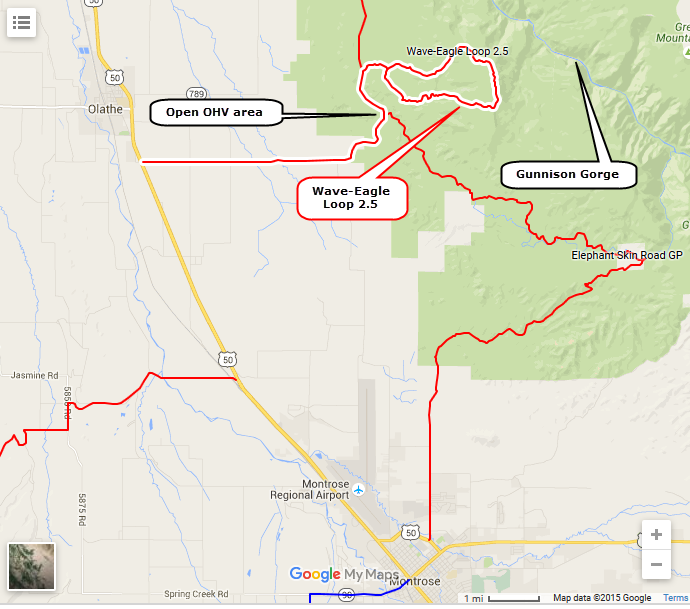 The Peach Valley Open OHV Area is part of the Gunnison Gorge National Conservation Area. Cross country motorcycle and ATV riding is permitted in this open area only. Other areas are limited to designated roads and trails. Full size vehicles such as Jeeps are always limited to designated roads. 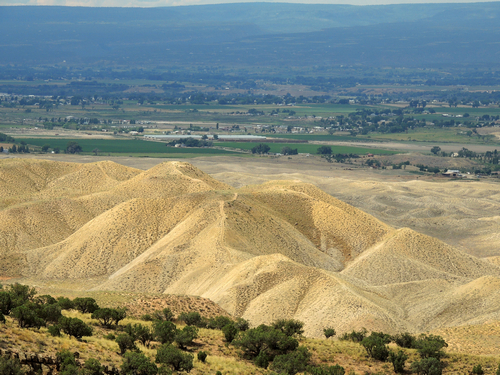 The erosive hills with very little vegetation that are open to ATVs are named Adobe Hills. Nice views of the Adobe Hills from this trail. 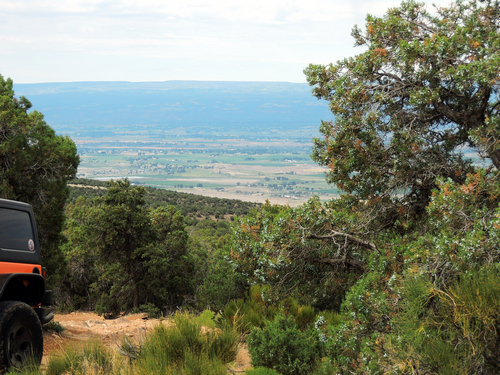 Higher portions of the trail penetrate stands of pinion-juniper and offer vistas of the Uncompahgre Valley to the west. 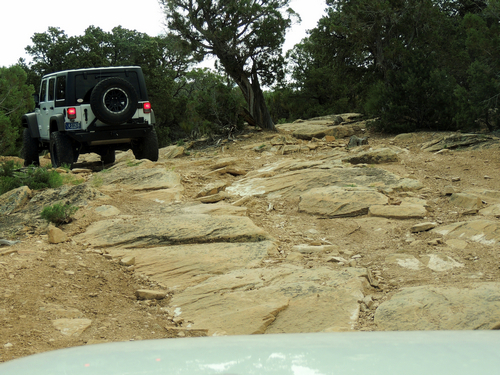 Not a difficult trail, but fairly slow moving because of ledges and rocks. 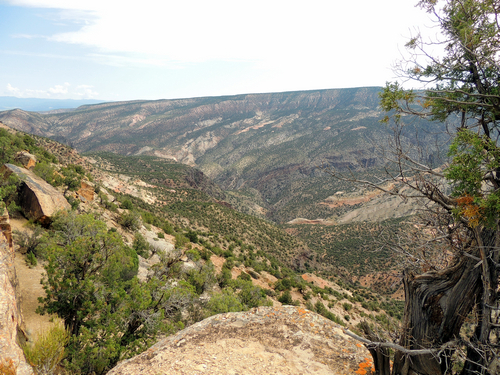 The very eastern leg is along a ridge with distant views of Gunnison Canyon.